- Why Use Non-Hybrid Seeds? 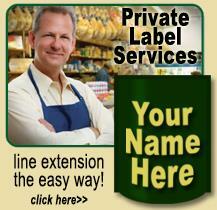 - Why Buy Our Seed Packs? 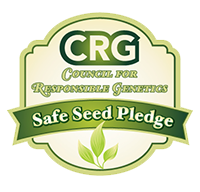 The Heirloom Organics exclusive VAULT™ method of seed preparation produces up to TWICE the SHELF-LIFE of “normal” seeds. The VAULT™ system is based on the seed preparation techniques pioneered at the National Seed Storage Lab of the US Department of Agriculture in Fort Collins Colorado. The VAULT� system uses an advanced moisture-modification and double-sealing process to ensure maximum EXTENDED SHELF-LIFE. Moisture-management packets are sealed inside all inner packages to maximize sustained seed germination rates over the longest period of time. All Heirloom Organics Main Packs (Seed Vault, Family, Homestead and Farm) as well as our Grains Pack are then ALSO sealed into heavy-duty, water-proof/moisture-proof , open-and-reseal green pails for maximum protection. Seed Viability Testing (pictured at right) is used to determine the germination rate of seeds. 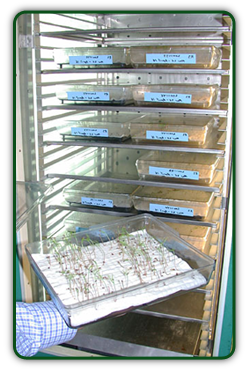 High germination rates of seeds (% of seeds that sprout into seedlings) is the measure of successful seed storage. Seed Viability Testing is used after seed storage to evaluate the methods for ultra long-term storage. The USDA National Seed Storage Lab in Fort Collins, Colorado researches long-term seed storage methods. The VAULT™ system used by Heirloom Organics to prepare all of it’s non-hybrid seeds for long-term storage is based on these methods pioneered by the USDA. Providing up to 2 times the “normal” seed life, the VAULT™ system Is the only choice for certain longevity in your seed purchase. 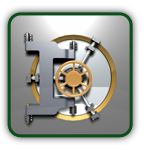 The Doomsday Seed Vault, (Global Seed Vault or Arctic Seed Vault), uses long-term seed storage methods as well, however this is a multi-national, multi-corporate (Monsanto and Bill Gates are major contributors) project to store every seed type on earth in case of world-wide catastrophe. Stored at extremely low temperatures in underground vaults drilled into an arctic mountain and locked away from danger. 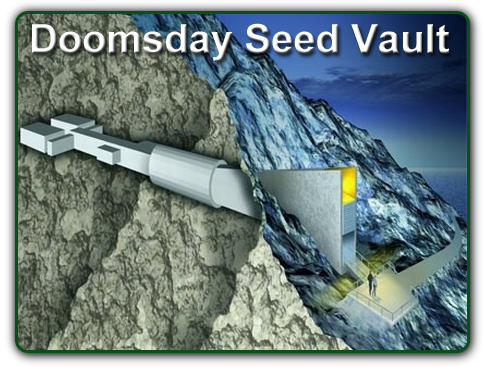 According to seed vault representatives this vault is protected against pole-shifts, asteroid collisions, nuclear war, earthquakes, floods and cross-pollination from genetically modified plant life. This video gives an account of the project.